Protection class IP, insulation class, service and power information for coils supplied with our Brass and S.Steel solenoid valves from ACL. The power (P) indicated is referred to a temperature of 20°C. For DC current it is as follows. In the case of AC current, the value is referred to as the apparent power during inrush (connection moment) and during holding. In the case of AC current, voltage and current are not in phase with each other. Phase angle between current and voltage is shown by the angle of the resistance triangle (the three sides represent: resistance, reactance and impedance of the circuit). In the case of AC current the power showed in Watt become: The power or electric input, in an AC current solenoid valve, is higher during inrush while it decreases when the plunger's stroke is complete. In the DC current solenoid valve, as the power depends from the coils Ohmic resistance, the power is the same during inrush and also when the plunger's stroke is complete too. Service. The coils are normally expected to be used in continuous service (ED100%). Definition of "Continuous Service": When the electrical connection time exceed the thermal constant of the coil by approximately 1/4. As a general rule, the continuous service corresponds to an electrical connection time that is equal or higher than 15 minutes. It's possible, for non-continuous service (e.g. ED50%), either to have coils at powers that are higher than the standard ones, or to use the coils with an ambient temperature higher than the ones indicated. Insulation Class. 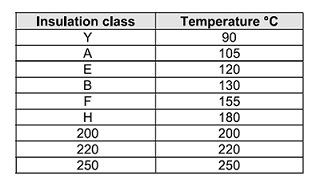 Or temperature class, according to CEI 15-26. The indicated temperature is the effective temperature of the insulation and not the over temperature. 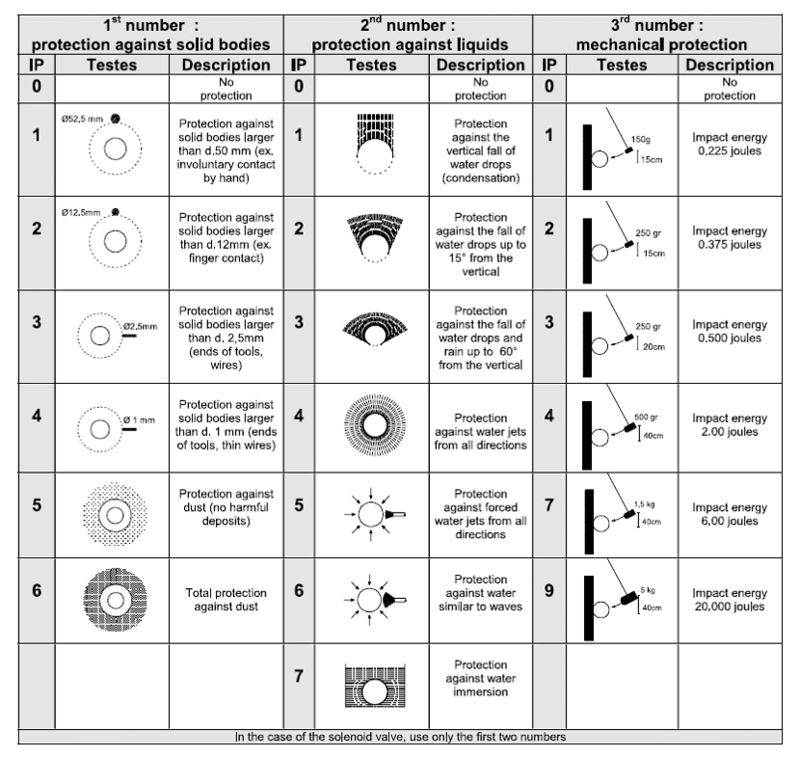 Protection Class IP. Compliance with the standard DIN 40050 for the electrical protection at 1000 Volt AC and 1500 Volt DC.